Very few companies that started in 1851 are still around today to talk about it! 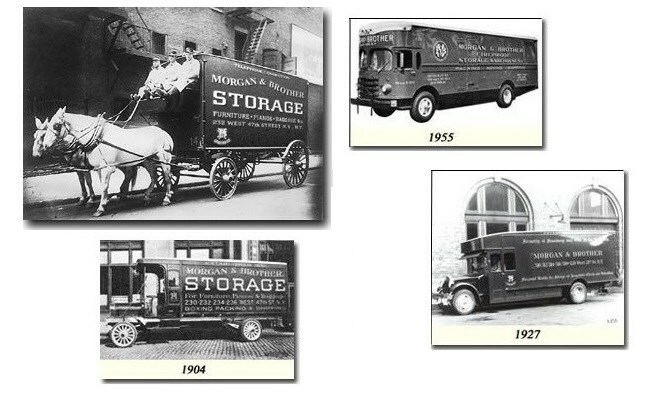 Part of the magic of our company is the sense of tradition and excellence our employees and our customers feel, and that traces its roots back to Patrick Morgan and the horse-drawn moving and storage business he started when he was 24 years old. There is still a Morgan at the helm today. When Morgan Manhattan moved its first family in 1851, Broadway was just a quiet road and 42nd Street was still partly pastureland! Nathaniel Hawthorne, Henry Longfellow and Daniel Webster were still in their prime, and Millard Fillmore was president. Tiffany's, which started as a small notions store, was growing – and Lord and Taylor (originally a modest dry goods store) was prospering. Brooks Brothers was going strong, but Macy's hadn't opened a store yet. Morgan-Manhattan is an old timer indeed! In the beginning, the company name was simply Morgan and Brother. Patrick and his brother – with their fine horse-drawn rig – were in great demand in an era when the two-wheeled handcart was the standard vehicle used to move entire households and businesses. We are proud that over the years the most prominent New York area families and businesses have trusted us with the moving and storage of their priceless antiques, fine art, rare wines and more. Morgan Manhattan has a history as the "mover of choice" when care and attention to detail are important considerations – whether one is extremely wealthy or just especially concerned about his possessions. We operate seven facilities in Manhattan and the surrounding metropolitan area, as well as a sizeable fleet of modern moving vans. Our storage facilities are exceedingly secure and well maintained. In addition to the customary storage of household goods, we are leaders in the storage of fine art, rare wines (in refrigerated vaults), office records, and even automobiles. We move families to scores of countries and all 50 states every year. It's a long way back to 1851, but customers know that the fifth generation of the same Morgan family is carrying on the tradition even now. 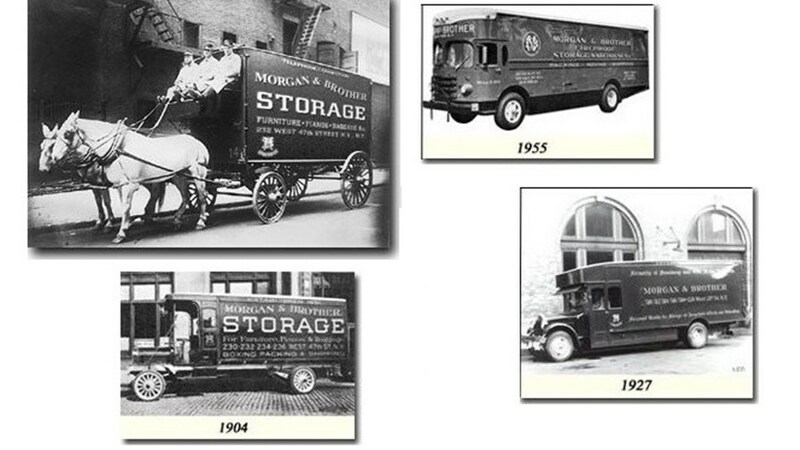 We are proud that many of the same men and women who learned the business from one of the Morgans as youngsters are still with us – providing constancy and a legacy that is rare in business today. Our crews undergo extensive and ongoing training in the best methods of moving and packing. Whether our customer is moving to Florida, Japan, or just to the apartment upstairs - these motivated people will bring to each move the same dedication as our forebears did. In an age of high volume and lesser quality service companies, it is powerful to be associated with a company who pays attention to the important details that make moving a wonderful experience for people rather than a dreaded experience. Our Feedback Page highlights just a few of our successes in this regard. And, none of us is resting on our laurels. We remain committed to the same traditions that got us to where we are today. We stand by our slogan: You Simply Can't Find a Better Moving Company.